Long Beach residents are asked to put on their walking shoes and join together to raise money for critically ill children by walking in the 6th annual Long Beach Walk for Kids Sunday at Shoreline Park. 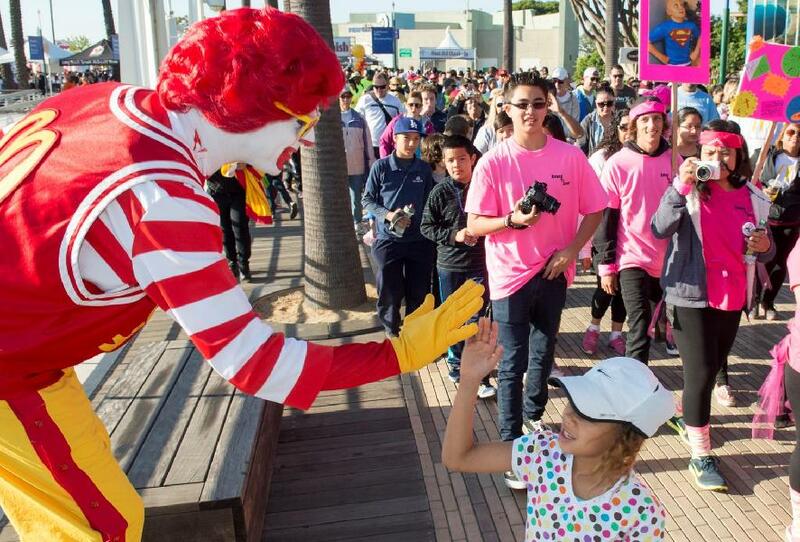 The family friendly 5K (3.1 miles), raises money for the Long Beach Ronald McDonald House, which provides a “home away from home” to families, allowing them to stay near hospitals, at little to no cost, while their child is receiving care. Event organizers hope to raise $250,000 at this year’s walk, all of which will go to providing housing and resources to families. The 23-room Long Beach Ronald McDonald House located on the Long Beach Memorial Hospital grounds opened in 2011 and houses families with critically-ill children receiving treatment at Miller Children’s Hospital and other nearby facilities. Since its opening, the Long Beach chapter has served 3,000 families, 104 of them from outside the United States, provided over 2,000 hot meals and amassed over 10,000 walkers for its annual charity walk. Over 40 percent of children served by the Long Beach Ronald McDonald House are babies in the neonatal intensive care unit. One such family is the Crihfield family whose daughter, Victoria, was diagnosed with childhood atypical teratoid rhabdoid tumor (Childhood AT/RT) at 3 months old. The disease, a rare, aggressive form of brain cancer which affects three in one million babies and has a 10 percent survival rate, put Victoria through five rounds of chemotherapy, 28 rounds of focal radiation and several trips to the intensive care unit. The Crihfield family spent nine months in and out of the Long Beach Ronald McDonald House. Come Sunday, Victoria, who has been cancer free for two years now, and her parents will be at the Long Beach Walk for Kids as an ambassador family. “For our family, [Ronald McDonald House] provided meals most evenings, and a quiet room to let the tears and tension from the day fall away,” Brad and Amanda Crihfield said in a statement. Registration and donations can be made two ways: onsite Sunday at 7:00AM or online at walkforkids.org. The opening ceremony starts at 7:30AM with the walk beginning at 8:00AM. Shoreline Park is located at 200 Aquarium Way. Above, left photo courtesy of Long Beach Ronald McDonald House.